This gorgeously renovated ranch home boasts over 3,600 sf of living space and is situated on a very private 1/2 acre lot. Enter the large family room with vaulted ceilings, gas fireplace, new skylights, and look out over the heavily wooded backyard. The kitchen has a recent $50k renovation featuring soft close cherry cabinets, granite, backsplash, gas cooktop island, and high end appliances. Large master suite w/ vaulted ceilings, deck access, plenty of closets, and a large luxury bath. Second main level suite with full bath and walk-in closet. Downstairs is a spacious rec room with fireplace, sliding door to the patio, plus two more bedrooms and a large full bath with double vanity. Easy to add 5th bedroom in lower level with framing already in place for another exterior window. The renovation also includes new paint, flooring, lighting, plumbing and door fixtures, and exterior landscaping. 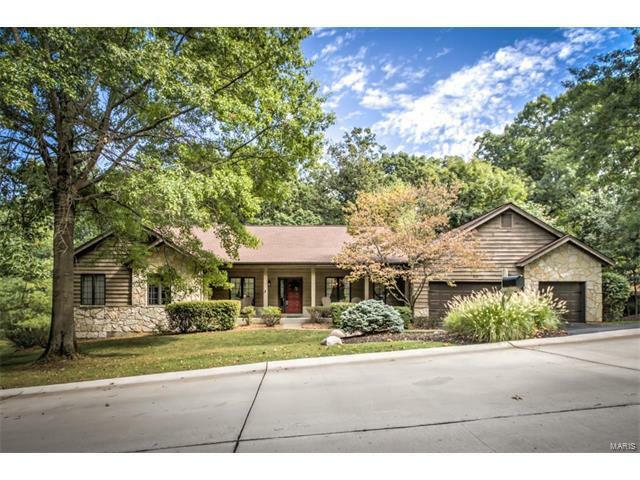 High Efficiency Trane HVAC, 3 car garage, in-ground sprinklers, and Rockwood Schools!